Disqualifications are an essential part of swimming. It’s there lurking in the background of every race in every meet. But what’s the real purpose of disqualifications? It might not be what you think. Disqualifications are not there to punish cheaters. The purpose of a disqualification is to prohibit certain movements or actions which have the potential to give that person an unfair advantage. It’s important to realize this distinction, because it goes to the heart of why the rules are the way they are. Let’s face it. There have always been people who will take any rule and see if they can bend or break it to their advantage, sometimes in surprisingly innovative ways. Just look at the impact of underwater dolphin kick in the 80s, or underwater breaststroke in the 50s. If a faster way can be found, inside or outside of the rules, somebody is going to try it. This means that it’s FINA’s job to come up with rules that not only address existing ways of gaining an advantage, but also anticipate any potential ways of gaining an advantage. And that’s how and why they shape the rules. The backstroke turn rule is a perfect example of this, as you’ll see later in this post. FINA creates a new set of rules every 4 years, and then add extraordinary rule changes whenever they feels the need. You can find the complete and current set of FINA swimming rules [here] . The latest extraordinary ruling concerning breaststroke from December, 2014 is covered in my blog [here]. I’ve covered Performance Enhancing Drugs in previous blogs (here and here), so I won’t dwell on that type of cheating here. Ins70tead I’ll be mainly focusing on technical violations. 388 BCE Eupolus of Thessaly is the first recorded cheater that I could find. He was found to have bribed boxers in the 98th Olympiad in roughly 388 BCE. Bribing competitors was a serious issue back then. Cheaters were fined, with the proceeds going to fund the creation of bronze statues of Zeus. The cheaters offenses were inscribed into the statues, to be seen by everyone. 1844 First attempt to DQ swimmers that I could find was an 1844 competition in London. Two Native Americans were invited, with Flying Gull easily winning the 130 feet competition in 30 seconds using a basic front crawl with flutter kick, and Tobacco getting 2nd. The British swimmers were using a heads-up breaststroke style. The British press wanted the Native American style of swimming to be disallowed as it was “barbaric” and “un-European”. The British continued to ignore this front crawl stroke for another 29 years. 1896 Spirodon Belokas of Greece rode the first part of the Olympic marathon in a carriage, then got out and finished 3rd. He was caught and became the first DQ of the modern Olympics. 1908 400m running winner John Carpenter of US was DQ’d in the final for blocking British Wyndham Halswelle. The final was to be rerun with Halswelle and 2 other Americans, but both Americans boycotted the final in protest. Halswelle ran the final alone, and only a gold medal was awarded. 1956 This is the first record of an Olympic swimming DQ that I could find, and it was a doozy. Swimmers had discovered that breaking the surface of the water slows you down, and that for breaststroke, underwater was faster. However, the confusing rules of the day included a general prohibition against swimming underwater, except after a dive or turn. 6 of the competitors chose to swim lengthy periods underwater, surface, and then go back under again. These competitors were all disqualified. However, the winner, Masaru Furukawa of Japan (pictured below), swam 45m underwater before surfacing on each of the first 3 lengths, and 25 m underwater on the last length. But once he surfaced, he stayed on the surface. See the Olympic 200m Breaststroke race here. 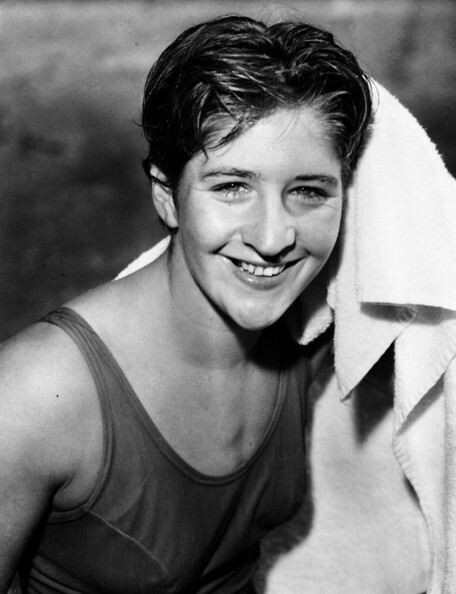 1964 Australian swimmer star Dawn Fraser (pictured below) was banned from swimming for 10 years (later reduced to 4 years) for climbing the flagpole at the emperor’s palace at the 1960 games in Tokyo to steal the flag. 1968 Swedish pentathlete Hans-Grunner Lilgenwall became the first person to be DQ’d for testing positive for drug use (excessive alcohol) at an Olympics. Interesting and somewhat suspicious as 1928 marked the first ban against doping. Something tells me they just weren’t looking that closely at athletes for the intervening 40 years, even if proper testing wasn’t really available. 2004 One of the biggest non-DQs in Olympic history happened at the 2004 Olympics. Kosuke Kitajima of Japan clearly performed one, and some say two, big underwater dolphin kicks in his 100 m Breaststroke victory. This was magnified when the broadcasters showed the highly evident kicks on tv. He had been documented doing the exact same thing at the World Championships the year before, so officials showed have been prepared for it. And here’s where became very evident that strokes and turns officials can’t catch cheaters in the middle lanes. As a result, FINA instituted a rule change in 2005 allowing one underwater dolphin kick during the pullout phase. Here’s a short clip of Kitajima swimming the 100. But what followed was even more incredible. 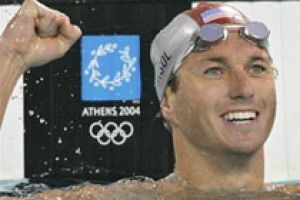 American backstroker Aaron Peirsol was highly critical of FINA and Kitajima for his underwater kicks, and complained very publicly. 4 days later, Peirsol was DQd after winning the 200 m Backstroke for turning onto his stomach too early before a turn. 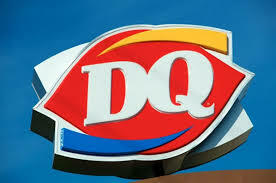 20 minutes later, the DQ was appropriately overturned, with FINA saying the wording of the disqualfication was inadequate. But many thought his temporary DQ was payback for his vocal criticisms of Kitajima and FINA. 2007 The Rome Seven Hills meet saw an even more blatantly illegal breaststroke issue, which was completely ignored. Greek Romanos Alyfantis swims the entire race with an obvious dolphin kick instead of a whip kick, and gets away with it. Apparently he had been swimming like this for years, without any problems. 2008 Swedish Greco-Roman wrestler Ara Abrahamian wins the bronze medal in Beijing, but in the middle of medal ceremony, and in protest over the outcome of his match, drops the medal on the mat and walks off. He was then disqualified and stripped of his medal for insulting the athletes and the Olympics. 2013 American Kevin Cordes leaves the block 0.04 seconds before Matt Grevers touches the wall in the 4×100 Medley Relay at the World Championships. FINA rules allow a swimmer to leave up to 0.03 seconds early in order to allow for any errors in the electronics associated with the sensors on the starting blocks. The US Team was disqualified for a 0.01 second infraction. At elite levels, there is really only 1 common cause for disqualification: early relay takeover. To give you an idea of how prevalent this is, in the last 4 Olympics alone, 14 relay teams have been DQ’d for early relay takeover. This is about 2.5% of all relays swims during that time. False starts are easily the next most common source of DQs for the elite, and even this is exceptionally rare. Probably the best known example of this is Ian Thorpe’s false start disqualification in the Australian Trials for the 2004 Olympics. He was so good that he probably could have won if he had been behind the blocks chatting with the timers when the race started. But that momentary loss of concentration cost him. Or it almost did. The Trials winner later relinquished his Olympic spot to Thorpe, and was paid A$130,000 in the process by a third party. In all honesty, false starts at big meets now are almost always overturned, with the country delegation usually appealing on the basis of crowd noise. At 2012 Olympics alone, false starts by three big stars (Sun Yang, Park Tae-Hwan and Breeja Larson) were all overturned following intense pressure by delegations. DQs by inexperienced swimmers in lower level meets are a completely different story. Here swimmers get DQs for breaking just about any of the rules, with the primary ones probably being backstroke turns and breaststroke / butterfly turns. Politics almost never plays a role here, with the DQs largely being accepted by everyone, and used to enforce legal stroke movements. Some rules are just more confusing or contentious than others, and can cause a lot of misunderstanding on the part of swimmers and parents. (Just to clarify, I’m referring to the FINA rules in place at the time of writing this blog – January, 2015. These can be found here. This one has confused everyone ever since they allowed the swimmer to turn onto their stomach for the turn. The key to this ruling is that immediately after turning onto their stomach, a pull of one or both arms must be initiated. DQs usually happen for what they call an “extended layout”, which is when the swimmer turns onto their stomach too far from the wall and glides for a bit to get closer. This can be called an “extended layout”. It’s always a judgement call on the part of the official. Many people are upset with this rule as they feel it penalizes less experienced swimmers who turn onto their stomach too soon. But there are 2 key issues at play. The first is simple: this is a backstroke race, and other than the mechanics of the turn, they want swimmers on their back. But the far more important issue is that FINA is worried about the tremendous potential of the dolphin kick to drastically change the sport. A turn legally starts when the shoulders start to turn past the vertical to the breast, and the body is allowed to be totally submerged during the turn. So without this rule, it is possible that a swimmer could turn onto their stomach halfway down the pool, theoretically initiating their turn, and then submerging and dolphin kicking the rest of the length. I have no doubt that this could be faster for some swimmers, and it would totally destroy the essence of a backstroke race. This is easily the most abused rule in swimming today, and probably the most abused rule in the history of swimming. As mentioned above, virtually every top swimmer in the world violates the single kick rule, and most violate it on every single breaststroke turn. Up until 2005 the swimmer was not allowed to perform any dolphin kicks at any point during a breaststroke race. But swimmers, notably Kosuke Kitajima, noticed that with all of the turbulence and splashing involved in a turn, officials at the end of the pool couldn’t easily detect a dolphin kick. And while officials at the side of the pool could detect these, they didn’t have adequate visibility all the way into the centre of the pool. It pretty much gave them carte blanche to cheat. The 2012 Olympic 100 m Breaststroke for me pretty much made the issue ridiculous when underwater video showed numerous finalists getting away with 3 dolphin kicks. The strange part about this rule is that it is FAR more likely to be called, correctly, in low level meets. For some reason, officials at high level meets are very nervous about disqualifying elite swimmers. In other words, any working pace clocks or electronic timing boards showing a running time or splits, and that a swimmer could see, are technically in violation of this rule. And any hand or arm signals by coaches or others to let a swimmer know if they are on or off the plan are also disallowed. As I said, it is completely ignored. I suspect this ruling exists to ensure that nobody develops a method of direct communications with the swimmer in which they can give race or pace advice. Next Week: Disqualifications: Fight Them or Embrace Them? Next Post Disqualifications: Fight Them or Accept Them? 1956: Six swimmers were DQ’d in the 200 Breast. However, only one of those DQ’s was in the Final whereas the rest were in various Heats/Prelims. Funny how this one swimmer who DQ’d in the Final (for apparently swimming underwater after surfacing) made it to the Final in the first place but then ignored the fact that five swimmers were previously DQ’d for doing the same thing. It was the 1964 Summer Olympics that were held in Tokyo (not 1960). Hi again Gregg. As to your comment about the 1956 situation. It seems that there was a lot of politics at play. The common element to the 6 DQs was going back underwater after surfacing, even though some of the stated reasons were things like lopsided shoulders. The DQs caused a huge fuss, especially as going back under was generally not disallowed at previous meets. Hi Gregg, You’re absolutely right, that happened in 1964. I’ll correct it. In a swimming race, does a break or a stand on two legs lead to disqualification.